Home World Do American Jews care about Israel? 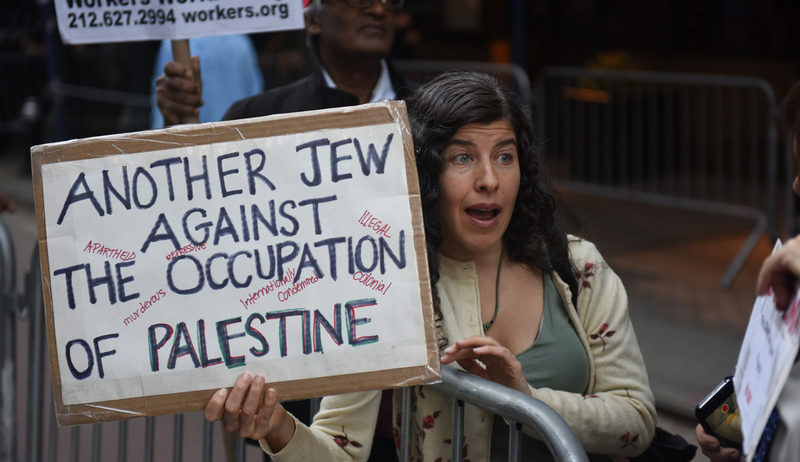 If one assumes that the overwhelming number of Jews have deep concerns about Israel, you will not understand why so many remain silent in the face of the rising tide of Israeli-bashing anti-Semitism within the Democratic Party. For many Jews, Israel is the international bulwark of Judaism – the first line of defense in a world where Jews had suffered prejudice and persecution for 2000 years. While World War II resulted in the defeat of the fascist regimes and their Arian racial theology, it did not obliterate anti-Semitism. Though it no longer exists as an institutional government policy in most nations – excluding the obvious Muslim-majority nations — it survives in the underbelly of national cultures throughout much of the world. Anti-Semitism remains in the hearts of social malcontents and psychopaths even in America. We are repeatedly reminded of that fact by the hateful events that have come to be known by their geographical names, such as Charlottesville and Squirrel Hill. We have seen it in so-called neo-Nazi demonstrations and the random acts of violence that pop up like weeds in the national garden. Internationally, we know the names of anti-Semitism as Dachau, Auschwitz, and Buchenwald. While virtually every Jew disdains anti-Semitism, a rather large percentage of American Jews are not defenders of Israel – especially the government headed by Prime Minister Benjamin Netanyahu these past 12 years. Many could not care less where the United States embassy is located. They do not see the retention of the Golan Heights as permanent Israeli real estate as an imperative. Many see Netanyahu as an obstacle to Middle East peace. In many ways, Jews of that frame of mind place radical left-wing domestic American politics above the longstanding alliance with Israel. They are social liberals to the edge of socialism – and many over the edge. They tend to be Jewish in the spirit of Senator Bernie Sanders. In a recent television appearance, he refused to call out Congresswoman Ilhan Omar for her provocative – and by some measure – anti-Semitic remarks. Sanders will not confront those who favor the Boycott, Divestiture and Sanction (BDS) Movement against Israel. BDS is more what Israel should expect from sworn world enemies – not allies, and certainly not from members of Congress, such as Omar, Rashida Tlaib and Alexandria Ocasio Cortez. The rising tide of anti-Israel sentiment among Democrats in Congress has exposed a schism in Jewish thinking in terms of Israel. Omar is wrong to suggest that those who recognized the importance of America’s alliance with Israel have dual loyalties. The Israeli-American alliance is critical in almost every way. It is our strongest ally in the Middle East in terms of national security (that means military), diplomacy, business and as the only truly democratic republic in the region. But when it comes to having Israel’s back, do not count on a 100 percent commitment from the American Jewish community.